I love the word, "Refashion". It's like "Recycle+Fashion" and that's what I've been doing with demin lately! 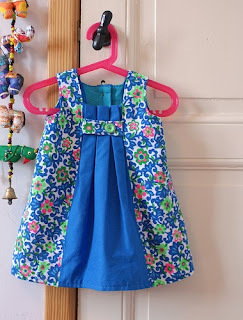 This girls dress I found on Flickr was "refashioned" from an apron into a dress. Totally vintage, totally timeless.